Second Impression: PCP sold separately. Okay, that ringing celebrity endorsement settles it. I start with the Short Workout, which I later discover is identical to the Full Workout, but with fewer instructions. 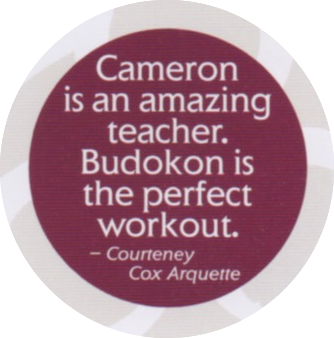 Budokon is hosted (and possibly made up) by Cameron Shayne, who sports Jane Austen sideburns as well as a tattoo of a lion. He bears a strong resemblance to actor John Hawkes, who has played both a meth addict and a love interest in a Miranda July film. Like John Hawkes, “Cameron is vivid, unexpected, affecting,” reports the DVD’s back cover. 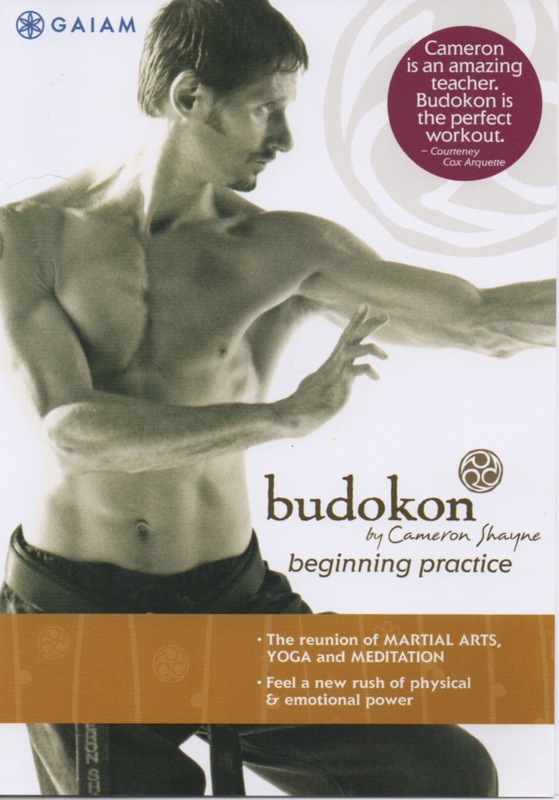 As we move through the routine, I can’t help but notice the similarity between Budokon and plain old yoga. It’s basically yoga in fancy pajama pants with a floppy belt. I stand corrected when we move on to the Martial Arts portion, which involves lots of twisting punches and knee lifts while hissing. I was misled by the “reunion” part of the description into believing that we would somehow be doing yoga, martial arts, and meditation all at the same time. Now, that would be cool. But life is full of small disappointments. Like when Cameron Shayne puts his hands together in prayer pose and announces we will begin a Traditional Chicken Meditation. Hey, awesome! We go through the meditation and there is nary a feather in sight. Nor eggs, nor clucking. Then I realize he has actually said Qi Gong, but pronounced it the way a Cajun Chef might refer to poultry. Try saying it out loud. “Traditional Sheee-konn Meditation, hyunh?” Mmm, deliciously relaxing. This entry was posted in Reviews and tagged 30 minutes plus, abs, martial arts, trendy, varied routines, yoga. Bookmark the permalink.